Aberystwyth South Beach BeachQuieter than the town's North Beach, Aberystwyth's long South Beach is sandwiched between the town's castle and the harbour breakwater. It's a sheltered sand and shingle beach and the southernmost part is a great favourite for experienced surfers and body boarding. The beach is also traditionally a good place to spot the bay's porpoise population at sea on warm days, together with spectacular views down the coast. 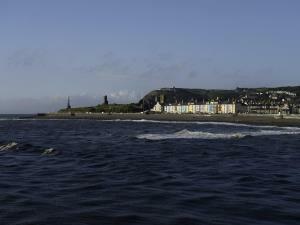 Just behind South Beach is Aberystwyth's harbour and marina full of sailing boats and yachts. Also don't miss the fishing ships that regularly collect Cardigan Bay lobster, crab, scallops and mackerel when in season. Fishing trips for visitors are available from the harbour during the summer months. Seaside Award beach. Toilets, refreshments, parking. Lifeguard service provided 10:00 - 18:00 7 July to 2 September 2018. Dog restrictions apply May to end September. 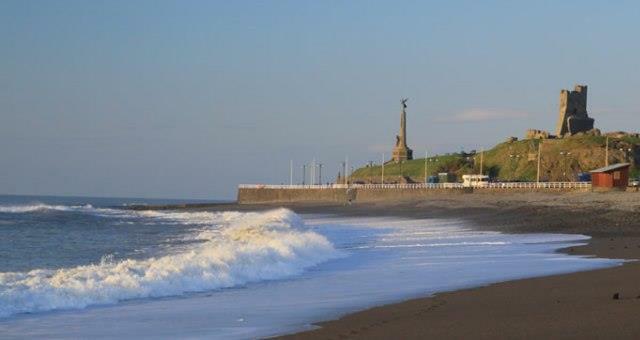 Quieter than the town's North Beach, Aberystwyth's long South Beach is sandwiched between the town's castle and the harbour breakwater. It's a sheltered sand and shingle beach and the southernmost part is a great favourite for experienced surfers and body boarding. The beach is also traditionally a good place to spot the bay's porpoise population at sea on warm days, together with spectacular views down the coast. Entering Aberystwyth on the A487 from the south, go over the river bridge and turn first left. When you reach the seafront, left for parking.